When does ownership of art, antiques and collectibles pass from seller to buyer? As a general rule, ownership passes from seller to buyer upon delivery, unless otherwise stipulated by laws or agreed upon by the parties. The parties may agree on a different time for ownership to pass despite delivery, for example when certain conditions are met, upon the buyer’s full payment of prices or full performance of obligations. However, if the sale of a work of art, antique or collectible is concluded through an online judicial auction, ownership will be transferred when the ruling on the auction is served on the buyer. The concept of implied warranty of title does not exist in China as it is a common law term. The Contract Law provides that the object to be sold shall be owned by the seller or the seller shall have the right to dispose of it. A similar legal requirement can also be found in the Auction Law and the Administrative Measures for the Operation of Artworks. In addition, unless otherwise provided by law, the seller shall assume the obligation to guarantee that no third party may claim any right against the buyer regarding the object, except that the buyer knows or ought to know, at the time of conclusion of the contract, that a third party has rights on the object, in which case the seller shall be released from the guarantee obligation. If the buyer has conclusive evidence proving that a third party may claim rights on the subject matter, the buyer may suspend payment, unless the seller provides a proper guarantee. When the seller is in breach of the title guarantee obligation, the buyer is entitled to claim against the seller within the limitation of actions, which in general is three years from the date on which the infringement occurred or the party causing the infringement is known or ought to have been known to the buyer, unless otherwise stipulated by the law. However, if 20 years have passed since the infringement, protection from a people’s court will not be granted. The limitation of actions may be suspended or extended under special circumstances, stipulated by the law. There is no official register open to the public for registration of ownership of art, antiques or collectibles. State-owned cultural relics must be registered with the cultural heritage administrative authorities, which will then send all data to the national authority - the State Administration of Cultural Heritage (SACH). The SACH has been building a consolidated nationwide cultural relics database, with data from state-owned museums across China (http://gl.sach.gov.cn/collection-of-cultural-relics/index.html). For the general public, this database is not for registration but for reference, where basic information of the cultural relics can be found, such as name, category, dynasty, and in which museum they are being collected. Cultural relics owned by civilians are encouraged to be voluntarily registered, however no official register has been opened for this purpose. In 2016, it was announced that a database would be built by a subsidiary of the SACH for registration by civilians, but this has not been launched. For art and collectibles outside the scope of cultural relics, non-official registers exist, which were established mainly for commercial purposes. any cultural relics that are immovable. Regarding theft or loss of cultural relics, an official public register was jointly launched by the SACH and the Ministry of Public Security (MPS) in 2017. The register is operated in both Chinese and English languages. According to the SACH, the data will be uploaded into Interpol’s database of stolen works of art (http://bdww.sach.gov.cn). cultural relics obtained through channels or resources that are not compliant with the law. If a stolen work of art, antique or collectible is stipulated as a state-owned cultural relic according to the law, it shall be owned by the state. if the object was already registered as required by law, or was already delivered to the acquirer if registration is not required. the assignment contract is revoked owing to reasons attributable to the acquirer, such as fraud, coercion, undue influence or any other reason as provided by law. For the unauthorised assignment, the victim is entitled to claim against the unauthorised party for compensation, within a limitation of actions of three years, as calculated from the date on which the victim knew or ought to have known about the infringement or the party causing the infringement, however the ownership shall remain with the acquirer. Under certain circumstances provided by law, the said limitation may be suspended or extended, and the burden of proof shall be borne by the claimant. With regard to stolen art, antiques or collectibles that are not cultural relics that are forbidden for purchase and sale, if the ownership was not recognised with the acquirer, there is always a potential risk for any new acquirer that the victim will claim ownership within the limitation of actions. In this case, the new acquirer may use good faith as a defence. The limitation of actions for victims is three years from the date on which the infringement was caused by the new acquirer or the new acquirer becomes known or ought to have been known to the victim, unless otherwise stipulated by law. However, if 20 years have passed since the infringement, protection from a people’s court will not be granted. Under certain circumstances, the limitation may be suspended or extended. After expiry of the limitation, if the acquirer or the new acquirer agrees to give ownership to the victim, the victim may still recover the stolen art, antiques or collectibles despite expiry. The acquirer always has the opportunity to present objections to the victim, in addition to the good-faith defence, such as expiry of the limitation of actions, invalidity of the suspension of the limitation or extension of the limitation. No, if ownership is acquired in bad faith, such as fraud, coercion or malicious collusion, the acquirer will not be supported in respect of ownership because of the absence of good faith. In addition, the relevant transaction contract may also be annulled or revoked because of bad faith. When does risk of loss or damage pass from seller to buyer if the contract is silent on the issue? if the seller delivers the object to the carrier as designated by the buyer according to the contract, the risk of loss or damage shall be borne by the buyer from the date the carrier obtains possession of the object. Must the buyer conduct due diligence enquiries? Are there non-compulsory enquiries that the buyer typically carries out? No, there is no legal requirement for the buyer to conduct due diligence enquiries. The buyer may use his or her discretion to decide whether to carry out due diligence and what shall be included. Typically, a prudent buyer will pay attention to the title, authenticity, transferability, condition, appraisal and value of a work of art, antique or collectible to be acquired, and will therefore include this content in the due diligence. another document that can prove or trace the source of the artwork. When the seller is an auction house, it shall verify the documents submitted by the principal, such as the identification of the principal and the certificate of title or other documents that prove the principal’s lawful right to dispose of the artwork. The auction house shall also conduct preliminary appraisal of the artwork and decide whether to accept the buyer’s offer based on the result. If the auction house thinks it is necessary to carry out a second appraisal of the artwork it can do so, and if the outcome of that appraisal is different from what is described in the auction contract, the auction house may request to amend or terminate the contract. If a cultural relic is involved in the auction, the auction house must report it to the local office of the SACH and obtain its approval. No law in China specifically provides that the seller gives the buyer implied warranties in respect of art, antiques or collectibles. The most relevant legislation is the Law on the Protection of Consumer Rights and Interests (revised in 2013), although it aims to protect consumers in respect of purchased commodities or received services. According to this Law, in addition to warranty of title, the seller must also guarantee the quality, functionality, purpose and term of validity of the commodity or service, and that it will be free from defects and will meet the personal and property safety requirements. With regard to a commodity or service that may endanger personal or property safety, a truthful explanation and explicit warnings must be given to the consumers. The seller’s liability can be relieved or exempted if a defect is made known to the buyer prior to the purchase, so long as the defect does not violate the compulsory regulations. If, prior to auction, the auction house makes a disclaimer that it cannot guarantee the authenticity or quality of the auctioned artwork, it will not be held liable. For a claim against the auction house regarding its failure to make a statement on the defect of the auctioned artwork, the limitation of actions for the compensation claim is one year from the date the claimant knew or ought to have known of the damage. For a claim against the auction house or another general seller for compensation for causing personal injury or damage to assets as a result of the defect of the auctioned artwork, the limitation of actions is generally two years from the date the claimant knew or ought to have known of the damage, unless otherwise provided by law. The right to claim compensation for damage caused by a defect will be void 10 years after the product was delivered to the first consumer, except where the specified safe-use period has not expired (though this is not relevant to artwork). The buyer may file a civil litigation lawsuit in a people’s court against the seller, based on breach of contract as the cause of action. To obtain the court’s support, the buyer needs to prove, with strong evidence, that he or she had reason to believe that the work of art, antique or collectible was authentic, and that he or she therefore paid for or agreed to pay for an authentic work, which was delivered by the seller, and therefore the seller is in substantial breach of the contract owing to the forgery and must be fully liable for it. As a resolution, the buyer may do the following: ask the seller to replace the forgery with the authentic artwork; ask for a refund of the payment; request liquidated damages or compensation (or both); or seek other remedies as desired. If the buyer can prove there was fraud, coercion, undue influence or malicious collusion during the transaction, which can be attributed to the seller, or if the transaction was made owing to a serious misunderstanding or obvious unfairness, the buyer may seek to have the transaction annulled or revoked, without jeopardising to right to claim for liquidated damages or compensation (or both). In addition to breach of contract, the buyer may also claim against the seller based on consumer protection, and if the seller is proved to be fraudulent, punitive damages may apply. The buyer may report the forgery to the cultural administrative authority or the comprehensive cultural market enforcement authority, if the forged is a work of art that is not a cultural relic. For a proved forgery, the punishments normally include confiscation of the unlawful income and the forged artwork, and the imposition of fines. If the documents that prove the source of the artwork, the appraisal document or other transaction documents were also forged, the punishment may be increased. The buyer may also report a criminal case to the local branch of the Ministry of Public Security if the case involves forgery or alteration, or the purchase, sale, theft, seizure or destruction of documents, certificates or seals of state organs. If the forgery, etc, is proved, the criminal will be sentenced to fixed-term imprisonment of no more than three years, criminal detention, public surveillance or deprivation of political rights, and will also be subject to a fine; if the circumstances are serious, the criminal will be sentenced to fixed-term imprisonment of no less than three years but no more than 10 years and will be subject to a fine. In most cases that involve forged cultural relics, there is also the possibility of being prosecuted for the crime of swindling or cheating and bluffing. Whatever the buyer’s choice is, the right to indemnification enjoyed by him or her under civil law will not be jeopardised. If the seller records the artist’s name on the sale documents, these documents can generally be used as crucial evidence for the benefit of the buyer. The buyer may also involve the artist who may consider claiming against the seller based on intellectual property rights infringement. If the transaction is made through an auction and if, prior to the auction, the auction house made a disclaimer that it does not guarantee authenticity or quality, the buyer may face a significant challenge if he or she wishes to make a claim, unless he or she can prove with sufficient evidence that the disclaimer was made dishonestly and the court supports the claim. Can a seller successfully void the sale of an artwork of uncertain attribution subsequently proved to be an autograph work by a famous master by proving mistake or error? the mandatory provisions of laws and administrative regulations are violated. there was obvious unfairness at the time of conclusion of the contract. In civil litigation, the burden of proof shall be borne by the claimant, therefore the seller needs to build a strong case with sufficient evidence. If the court decides that the sale is void or can be revoked, the artwork will be returned to the seller, and the seller shall refund the buyer. If the original artwork cannot be returned or the return becomes unnecessary for any reason, the seller shall be reimbursed at the evaluated price. If the seller or buyer suffers loss or damage at the fault of the other party, the loss or damage shall be compensated by the party at fault. To exercise the right to revoke, the seller must comply with the limitation of actions requirements. Yes, there are two categories of export control for cultural property in China: cultural relics exit control; and artwork export control. For cultural relics, an exit licence is mandatory for every exit, subject to examination and approval by the cultural relics entry and exit examination and approval authority as designated by the administrative department of cultural relics under the State Council. Where an exit is permitted, a cultural relics exit licence will be granted, and the cultural relic will leave China from a port designated by the authority. Whoever transports, mails or takes the cultural relics out of China must declare it to customs, which shall release the cultural relics based on the their exit licence. To obtain the exit licence, detailed information on the applicant, export customs and details of the cultural relic must be provided. The application must be submitted for online examination via the National Cultural Relic Import and Export Examination Database operated under the SACH. The website is: http://jcj.sach.gov.cn/. State-owned cultural relics and precious cultural relics not owned by the state and other cultural relics that are prohibited from leaving China may only leave China when they have been approved for overseas exhibitions or for other purposes that have been approved by the State Council. When a cultural relic leaves China for an overseas exhibition, approval must be obtained from the administrative department of cultural relics under the State Council. If the quantity of Grade I cultural relics exceeds the threshold stipulated by the State Council, further approval must be obtained from the State Council. Grade I cultural relics that are unique or fragile cannot be exhibited abroad. Once approval is given for the overseas exhibition, customs will grant release based on the approval documents, and when the cultural relics are returned to China after the exhibition, verification will be conducted by the same authority that originally approved the exit. In case of failure to comply with the exit control, there is a risk of liability under criminal law or administrative regulations, and punishments include imprisonment, fine, forfeiture of property, confiscation of unlawful income and revocation of the relevant licence depending on the seriousness of the case. is prohibited by laws or administrative regulations, or by the state. If the export control for the artwork is not complied with, administrative punishments will usually be imposed, such as being ordered to comply with the requirements, or confiscation of the illegal artwork and illegal gains and the imposition of a penalty. For export of art, antiques or collectibles, there is no tax liability. For import, there are two kinds of tax: customs duty; and import value added tax (VAT). For collectibles imported by a public welfare state-owned collection institution, as a result of donation from abroad, return, restitution or purchase, for the purpose of a permanent collection, exhibition, research and other social welfare activities, customs duties, import VAT and consumption tax are exempted. Outline the main types of tax liability arising from ownership and transfer of art, antiques and collectibles. Owning art, antiques and collectibles in China does not generate tax liability. Transferring art, antiques and collectibles will create tax liability for the parties involved, with the type and rate of tax varying depending on the party (eg, the tax rate imposed on a limited liability company may vary greatly to the rate imposed on an individual). If art is directly sold by the artist as a seller, his or her mandatory tax liability includes income tax and VAT. If the sale is made by an individual collector, the mandatory tax liability for the seller includes income tax and VAT. If art, antiques and collectibles are sold by an art business company or gallery incorporated in the form of a limited liability company, the seller’s mandatory tax liability includes corporate income tax and VAT. In addition, the seller may often reimburse the artist for the income tax that he or she has paid, although not as a legal liability, but a contractual liability as agreed between parties. If the sale is made through auction, the mandatory tax liability for the auction house includes corporate income tax and VAT. If the art is acquired through inheritance, there is no tax liability for the heir. If the art is acquired through donation, the acquirer needs to pay corporate income tax, unless otherwise provided by law. If the transferred art is precious jewellery and jade, consumption tax will also be imposed. Outline any tax exemptions or special conditions applicable to art, antiques and collectibles. For collectibles imported by a public welfare state-owned collection institution, which have been donated from abroad, returned, restituted or purchased for a permanent collection or exhibition, or for research and other social welfare activities, customs duties, import VAT and consumption tax are exempted. To encourage donations that support public welfare, the law provides that companies or other enterprises shall enjoy preferential treatment for corporate income tax, and individuals or self-employed individuals in industry and commerce shall enjoy preferential treatment for income tax. According to the Charity Law, charitable organisations, natural persons, legal persons and other organisations that donate property for charitable activities (donors), and beneficiaries receiving charitable donations, are eligible for tax benefits in accordance with the law; therefore, when art, antiques or collectibles are involved in charitable donations, tax benefits will apply (subject to legal requirements). Furthermore, the State Administration of Taxation (SAT) promulgated a new regulation in February 2018, which allows a corporate donor to deduct its costs for charity donation and public welfare donation from its taxable income within the amount equivalent to 12 per cent of its annual total profits for that year, and to deduct the remaining costs that exceed 12 per cent of its annual total profits for that year within a three-year term carried forward. In addition, in China, museums are entitled to tax preferences in accordance with the law, and any person establishing museums or making donations to museums in accordance with the law is also entitled to tax preferences in accordance with the relevant provisions of the state. In your jurisdiction what is the usual type of security interest taken against art, antiques and collectibles? Among the general types of security (ie, guarantee, mortgage, pledge, lien and deposit), pledge is the most common security interest taken against art, antiques and collectibles. However, it is still not widely used in practice, owing to challenges and risks that arise from uncertainty, complexity and a lack of transparency about appraisal, storage of the art objects, and costs, processes and risk control involved. In some cases, lien may be used in transportation of artwork, storage, custody, repair and restoration, or in a brokerage relationship. No. In China, a consumer loan has a clear definition given by law, which is a loan for consumption granted to a borrower by consumer finance companies. Therefore, a loan will not automatically qualify as a consumer loan just because the borrower is a consumer. There is no legal restriction prohibiting the lender from granting a loan to a private borrower, or prohibiting the lender from granting a loan for the purpose of acquiring art assets. However, Chinese laws explicitly provide that each loan shall be granted with a legitimate purpose, and the loan facilities shall be used only for that purpose. In practice, it is not popular for lenders to grant loans for art assets, mainly because most lenders are concerned about uncertainty and risk control complexity, unless sufficient security is provided. No, although law does not prohibit art, antiques or collectibles (excluding cultural relics that are prohibited by law) to be mortgaged or pledged, there is no public register for it. However, in case of pledge of the copyright or patent vested in the art, antiques or collectibles (if any), it is possible to get the pledge registered with the National Copyright Administration for copyright and with the State Intellectual Property Office for patents. When the borrower defaults on the loan, the lender cannot directly sell the collateral, but may agree an alternative method of payment with the borrower. If an agreement is not reached with the borrower, the lender may file a lawsuit in a people’s court. After the collateral has been converted into cash, or auctioned or sold off, the lender may enjoy the proceeds. In general, the lender with a valid and perfected first-priority security interest may take precedence over other creditors. However, if the tax default by the borrower occurred before the mortgage, pledge or lien was created, the tax authority shall have priority over the lender. In case of bankruptcy of the debtor, the priority the lender enjoys will not be impacted, as the security interest is not insolvent property according to law. Copyright is automatically generated on the date a work is created. Copyright registration is voluntary in China (ie, the author or another lawful copyright holder will enjoy copyright regardless of whether it is registered); however, for copyright protection purposes, it is advisable to get the copyright registered as it is a low-cost and efficient way to prove copyright ownership in an enforcement case. For moral rights such as right of authorship, right of modification and right of integrity, the protection duration is unlimited. For moral rights such as the right of publication, if the author is a legal person or other organisation, or if it is a work made for hire, the protection duration is 50 years, ending on 31 December of the 50th year after the date on which the work was first published, but if the work is not published within 50 years after its completion, it shall no longer be protected by law. If the author is an individual, in general the protection duration is the term of the author’s life plus 50 years after the author’s death, ending on 31 December of the 50th year. In the event of a joint work, this term shall end on 31 December of the 50th year after the death of the last surviving co-author. For cinematographic work or a work created by a process analogous to cinematography or a photographic work, the protection duration is a term of 50 years, ending on 31 December of the 50th year after the date on which the work was first published, but if the work is not published within 50 years after its completion, it shall no longer be protected under the law. For economic rights such as the right of reproduction, the right of distribution, the right of rental, the right of exhibition, the right of performance, the right of projection, the right of broadcasting, the right of communication via information networks, the right of cinematisation, the right of adaptation, the right of translation, the right of composition and other rights to which a copyright owner is entitled, if the author is a legal person or other organisation, or if it is a work made for hire, the protection duration is a term of 50 years, ending on 31 December of the 50th year after the date on which the work was first published, but if the work is not published within 50 years after its completion, it shall no longer be protected by law. If the author is an individual, the protection duration is a term of the author’s life plus 50 years after the author’s death, ending on 31 December of the 50th year. The right of exhibition is an economic right of the copyright holder - it belongs to the owner of the original artwork. The owner’s consent must be obtained prior to exhibition to the public, otherwise it may cause infringement, unless it can be proved with sufficient evidence that the artwork had already been published, and that the exhibition is for the purpose of individual study, research or enjoyment, and will not cause infringement to other rights enjoyed by the copyright holder. The name of the author and of the artwork must be clearly displayed. Can artworks protected by copyright be reproduced in printed and digital museum catalogues or in advertisements for exhibitions without the copyright owner’s consent? The right of reproduction, the right of distribution and the right of communication via information networks are economic rights of the copyright holder. The copyright owner’s consent must be obtained prior to reproduction and distribution of the hard-copy museum catalogues, and, in addition, the owner’s consent on communication via information networks must be obtained prior to production and distribution of the digital museum catalogues, unless these catalogues are not distributed to the public but are for the museum’s internal use only, in which case the name of the author and the artwork must be clearly mentioned, and the rights enjoyed by the copyright holder must not be jeopardised and no impact shall be caused to the normal use of the artwork. The owner’s consent must also be obtained for the purpose of advertising exhibitions. Yes, the public artwork is protected by copyright upon its completion. The artist’s resale right does not currently apply in China. However, the Copyright Law (Draft Revision for Review) publicised on 6 June 2014, proposed that the artist’s resale right should be added to the existing Copyright Law. According to the Draft, after the first transfer of the original of the artwork, photograph, manuscript of written work or musical work, the author, the successor or legatee of the author shall be entitled to share the value-added profits achieved from the auction resale of the original or the manuscript of the work. The detailed protection measures will be provided separately by the State Council. For visual artists, the moral rights include right of publication, right of authorship, right of modification and right of integrity. the right of integrity, which means the right to protect a work from being misrepresented or distorted. With regard to the moral right of publication, if the author is a legal person or other organisation, or if it is a work made for hire, the protection duration is a term of 50 years, ending on 31 December of the 50th year after the date on which the work was first published, but if the work is not published within 50 years after its completion, it shall no longer be protected by law. If the author is an individual, in general the protection duration is a term of the author’s life plus 50 years after the author’s death, ending on 31 December of the 50th year. Moral rights cannot be waived. The right of authorship, the right of modification and right of integrity shall, after death of the author, be protected by the heir in title and or another beneficiary. In the absence of an heir in title or another beneficiary, these rights will be protected by the copyright administrative authority. In the case of a posthumous work, the right of publication may be exercised by the author’s heir in title or other beneficiary within a period of 50 years after the death of the author, unless the author had expressly stated not to publish it. In the absence of an heir in title or other beneficiary, the said right will be exercised by the owner of the original of the work. In the case of a work of an unknown author, the copyright, except the right of authorship, shall be exercised by the owner of the original of the work. Where the author has been identified, the copyright shall be exercised by the author or the heir in title. There is no legislation in China that explicitly requires the agent to account to the principal for commission or compensation received by the agent while conducting business for the principal; however, based on the General Rules of the Civil Law and the Contract Law, with several articles taken into consideration, it is considered fair and reasonable for this to be the case. There is a legal requirement that the agent shall be paid remuneration for completing an entrusted task, and if a civil juristic act is performed by an agent in the principal’s name and within the scope of agency power, it shall be binding on the principal. In addition, if a contract is signed with a third party by the agent in his or her own name, within the scope of agency power, when the third party is aware of the relationship between the agent and the principal at the time of concluding the contract, the contract will be directly binding on the third party and the principal, unless there is conclusive evidence proving that the contract is only binding on the third party and the agent. There is no legislation on this matter. If the agent makes transparent and full disclosure, the terms of the agreement reached between the principal and the agent will apply. There is no legislation on this matter. To claim against the third party, the principal must have a cause of action and bear the burden of sufficient proof to support the claim, as the case may be. The cause of action may be breach of contract, or infringement, both of which may result in challenging claims. To protect a consignor’s interest when a dealer goes bankrupt, it is important to prevent the consigned artwork from being identified as the property of the debtor (the dealer). For that purpose, the consignor must, prior to a consignment sale, sign a consignment contract with the dealer that contains a protection clause, and clearly mark the consigned artwork and make it recognisable as the consignor’s property and not the dealer’s property. In case of bankruptcy, as soon as a people’s court accepts the bankruptcy application, the consignor must request to take back the consigned artwork through the bankruptcy administrator, with necessary documents provided as evidence, to prove that the artwork belongs to the consignor and was kept by the dealer because of the consignment relationship. The consignor must be able to take the artwork back, unless he or she is prevented from doing so by the law. If the administrator objects, the consignor has a remedy to file a lawsuit in a people’s court to verify the ownership of the consigned artwork, and with the court ruling, take back the artwork from the administrator. Auctions of cultural relics are highly regulated in China - in addition to the Auction Law and regulations, they are also subject to legislation that provides for cultural relics protection. Cultural relics can be auctioned only at an auction house that is licensed for that specific purpose. To obtain a licence, the auction house must meet certain conditions, such as having registered capital of no less than 10 million yuan; having more than five cultural relics auction experts; having no involvement in unlawful cultural relics operations within at least the recent two years; and complying with other requirements stipulated by the relevant legislation. Only approved cultural relics are eligible for auction. Prior to auction, the cultural relics to be auctioned must be reviewed and approved by the provincial-level SACH authority and be filed with the SACH. Cultural relics cannot be auctioned if they are not approved by the authority, which includes cultural relics that have been stolen, smuggled, excavated or illegally plundered; cultural relics that have been confiscated or recovered by law enforcement bodies; state-owned and collected cultural relics; precious cultural relics in a collection that is not owned by the state; state-owned immovable cultural relics and their components; and other cultural relics as provided by law. The auction records shall be filed with the SACH local authorities and sent to the SACH. The state enjoys right of first refusal to purchase precious cultural relics that are being auctioned. The SACH may specify which state-owned cultural relics collection institution can exercise the right to purchase. The price shall be decided by negotiation or through an invitation-­only auction. Auction houses that auction cultural relics are prohibited from engaging in any business or operation related to cultural relics. Foreign investment is also prohibited from a cultural relics auction. To regulate an auction of cultural relics and artwork, a special regulation was promulgated in 2010, which focuses on process and requirements, some of which have been replaced by the Law on the Protection of Cultural Relics (revised in 2017) and the Auction Law (revised in 2015). Auction houses in China cannot sell cultural relics privately, and cultural relics cannot be purchased through channels other than the auction houses licensed to auction cultural relics or the stores licensed to sell cultural relics. The lawful exchange or transfer among individuals of cultural relics legally owned by them in accordance with the law is also permitted, as well as lawful inheritance or gifts, and other legitimate ways provided by the state. No such prohibitions exist for the auction of artwork, and, in any case, the auction house is prohibited from auctioning artwork or cultural relics that it owns. In China, financial services is a highly regulated industry - to carry out financial business, such as offering advances or loans, or providing guarantees, it is mandatory to be qualified with the necessary licences and permits and to meet various legal requirements. An auction house is not a financial services provider, therefore it cannot lawfully provide financial services. Nevertheless, in practice, it is possible for a qualified third-party financial services provider to be involved in financial art-related transactions. There is no legislation in China that specifically addresses spoliation during the Nazi era. China is a state party to the UNIDROIT Convention on Stolen or Illegally Exported Cultural Objects, which provides a limited legal basis for cases claiming for stolen or illegally exported art. It can be very difficult to have this kind of case accepted by a court in China, mainly owing to a lack of sufficient jurisdiction and appropriate cause of action. Nevertheless, if a case were accepted by the court, for it to be successfully supported, the heirs of the party wrongly dispossessed should first seek to ensure that the case will be accepted by the court despite the challenge of jurisdiction, which is likely to be initiated by the current possessor. The heirs must also make every effort to prove, with sufficient evidence, that, according to the relevant conventions, the stolen or illegally exported art should be returned to them, and as legitimate heirs they should be protected in respect of ownership. The current possessor is likely to claim for ownership based on the good-faith principle, which can be a legitimate reason for the possessor to retain ownership; however, the heirs may use evidence to prove there was no good faith or the good faith was not genuine. Under certain circumstances, it is possible that the court may order the heirs to pay compensation to the current possessor for return of the lost art. As a two-tier judicial system is applied in China, the heirs must ensure that they are supported by both tiers of courts, and that the judgment is supported and enforced. There is no legal requirement regarding who shall be responsible for insuring art, antiques or collectibles on loan. However, according to the Regulation on Museums, the legal representative of a museum is responsible for the safety of the collections, which is of paramount importance, particularly if art, antiques or collectibles have been leased out. In most cases, insurance is arranged based on an agreement reached between the lender and the borrower - in some cases it is paid by the lender and in others, by the borrower. As a general practice in China, when art, antiques or collectibles are to be loaned to a museum for an exhibition, the insurance is normally arranged together with the logistics services as part of a package. When a bidding procedure is carried out by a lender and a borrower to look for competent logistics service providers, they will include insurance as a part of it, which means that it is the logistics service provider that will identify the competent insurance company, with the key terms decided by the lender and the borrower, such as the premium, coverage and period of cover. In most cases, the premium will be already included in the total fees charged by the logistics company. There is no specific legislation in China that renders art, antiques or collectibles loaned to a public museum immune from seizure. However, to seize a property in China, there must be a legitimate cause of action, and certain legal proceedings must be undertaken successfully for the applicant to obtain approval for seizure. If the property owner objects to the seizure, legal procedures must be followed to verify whether the seizure is legitimate. In most cases, seizure may be carried out when there is a criminal offence involved. No. From a legislative perspective, there is no concept of national treasures in China; instead, the movable cultural relics are designated as precious or ordinary. The former are further divided into Grade I, Grade II and Grade III. The movable cultural relics include important material objects, artwork, documents, manuscripts, books and materials, and typical material objects. Immovable cultural relics, which include sites of ancient culture, ancient tombs, ancient architectural structures, cave temples, stone carvings, mural paintings, important historical sites, and important modern and contemporary architecture, can be identified as needing to be protected at the national, provincial and city level based on their historical, artistic and scientific value. For artwork other than cultural relics, there is no such classification. Numerous restrictions are applied to precious cultural relics, which are mostly relevant to the sale, transfer, loan or exit from China. When a precious cultural relic is to be auctioned, the state enjoys the right of first refusal to purchase it - the SACH may specify which state-owned cultural relics collection institution can exercise the right to purchase, and the price will be decided by negotiation or through an invitation-only auction. In an opinion issued by the SACH in 2012, it is strictly prohibited to use terms such as ‘national treasures’, ‘rare’ and ‘the only existing’ to describe the auctioned object in the auction catalogues, as these terms can be misleading. If the state is interested in buying an artwork for the public collections, does it have a right of pre-emption? See question 39 for cultural relics. Regarding artwork, there is no legislation in China granting the state a right of pre-emption. All cultural relics that remain underground or in inland waters or territorial seas within the territory of China are owned by the state. Sites of ancient culture, ancient tombs and cave temples are owned by the state. Immovable cultural relics (see question 39), designated for protection by the state, except where provisions of the state stipulate otherwise, are owned by the state. The ownership of state-owned immovable cultural relics remains unchanged when ownership or the right to use the land to which such relics are attached changes. other cultural relics owned by the state as provided for by the law. Ownership of movable cultural relics owned by the state shall remain unchanged when institutions for their preservation or collection cease to exist or are replaced. Ownership of state-owned cultural relics is protected by the law and shall brook no infringement. Ownership of memorial buildings, ancient architectural structures, cultural relics handed down from ancestors and other cultural relics obtained in accordance with the law, which belong to collectives or individuals, shall be protected by the law. Owners of cultural relics must abide by state laws and regulations for their protection. China became a state party to the UNIDROIT Convention on Stolen or Illegally Exported Cultural Objects (the Convention) in 1997. If the foreign state is also a state party to the Convention, theoretically it may apply to a people’s court in China or another competent authority to order the return of the cultural objects that were stolen or illegally exported. In order to successfully establish the case, the foreign state must convince the court or competent authority that it is within the limitation of actions and has sufficient jurisdiction, and that the Convention is applicable because the cultural object was stolen or illegally exported after China became a state party to it. If the foreign state can prove, with sufficient evidence, that the removal of the object from its territory significantly impairs one or more of the following interests, a people’s court or another competent authority must, according to the Convention, order the return of that illegally exported cultural object: the physical preservation of the object or of its context; the integrity of a complex object; the preservation of information regarding, for example, a scientific or historical figure; the traditional or ritual use of the object by a tribal or indigenous community; or the significant cultural importance of the object for the foreign state. To succeed in the claim, the foreign state must meet all the requirements of the Convention, complete all the necessary legal proceedings with the court that has sufficient jurisdiction or the competent authority, and provide all necessary and sufficient evidence within the valid limitation of actions. Although the Convention may allow a case to be submitted to another competent court or authority in a country other than China, it is important for the foreign state to know that a foreign judgment is unlikely to be enforced in China, unless the enforcement can be explicitly guaranteed by a bilateral judicial agreement. If there is a third party with good faith, a people’s court or the competent authority will take that into consideration together with all the necessary facts before making a conclusive decision. According to the Convention, the following two scenarios may also have a substantial impact on the possibility of return: (i) if export of the cultural object is no longer illegal at the time that the return is requested; or (ii) the object was exported during the lifetime of the person who created it or within a period of 50 years following the death of that person. The parties may also try to submit the dispute to arbitration if an agreement can be made between the parties, or any other parties that have jurisdiction according to the law, at the same location as the cultural object. China is also a state party to the UNESCO Convention for the Protection of Cultural Property in the Event of Armed Conflict with Regulations for the Execution of the Convention 1954; and the UNESCO Convention on the Means of Prohibiting and Preventing the Illicit Import, Export and Transfer of Ownership of Cultural Property 1970. It has also entered into numerous bilateral agreements with various countries for the protection of culture and heritage. In China, there is no specific legislation on anti-money laundering compliance in respect of the art trade. Despite continuous prosperity in the art trade in China, the need for anti-money laundering compliance has been comparatively underestimated, not only by financial services providers, but also by the business community. In practice, art transactions in China are frequently concluded with payment in cash or on a barter basis, which means there is a distinct lack of transparency and traceability. 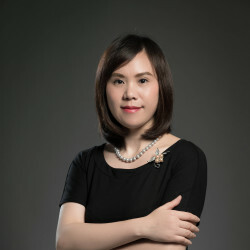 In the People’s Bank of China’s Guidelines for the Assessment of Money Laundering and Terrorism Financing Risks and Categorized Management of Clients of Financial Institutions (promulgated in 2013), art collection and auctions were categorised into ‘cash-intense industries’ that might lead to a high risk of money laundering, therefore the PBOC advised financial institutions to keep a close watch and to monitor the risk. There has been no noticeable improvement, however, as China’s focus on anti-money laundering obligations remains the same: establish the client’s identity and preserve the data (eg, name, address), keep records of transactions, and report transactions of large amounts of money and those that appear suspicious. This applies to the art trade when business is carried out by companies or corporations. With regard to anti-money laundering compliance, a financial institution is obligated to establish and implement identification policies and processes, which require clients to provide identity documents for verification, irrespective of whether the services are for a long-term client, or for a remittance or foreign exchange service. If a third party is involved in art dealing, whether as an agent, dealer, beneficiary or guarantor, the financial institution must verify its identity. For anyone suspicious or unidentified, the financial institution may decide, at its discretion, whether to provide services or decline to do so. If identification is carried out through a third party, the institution must ensure the third party’s compliance with anti-money laundering procedures - if necessary, the institution may check this with a government authority, such as a public security bureau or the State Administration for Industry and Commerce. The third party must also keep accurate and complete records, which must be completed in a timely manner. Financial institutions must immediately report suspicious transactions (either in relation to the amount involved or the transaction details) to their headquarters, where it will subsequently be reported to the China Anti-Money Laundering Monitoring and Analysis Centre. To enhance anti-money laundering compliance awareness, the financial institution must also provide compliance training for its clients and the relevant business partners. Financial institutions are also requested to strictly protect their clients’ private data and information. In addition to financial institutions, buyers, sellers, dealers and other players in the art trade must strictly follow anti-money laundering compliance requirements at the request of financial institutions, auction houses, galleries, services providers or government authorities, such as know-your-customer questionnaires, contract signing and payment consistency. Yes, China is a party to the CITES Convention. In April 2006, the Regulation on the Administration of the Import and Export of Endangered Wild Animals and Plants was promulgated, and took effect on 1 September 2006. This Regulation implemented the CITES Convention in China. The Endangered Species Scientific Commission is the relevant enforcement body in China, and the Administrative Office of the Import and Export of Endangered Wild Animals and Plants was set up under the State Forestry Administration, serving as the administration relating to enforcement. Is the sale, import or export of pre-CITES endangered species subject to a licence? In China, it is prohibited to import or export for commercial purposes endangered wild animals, plants and the products made of them that the CITES Convention prohibits from import or export for the purpose of commercial trading. If there are justified reasons for import or export (such as scientific research, training and breeding, and cultural exchange), approval must be obtained from the state wild animals and plants administrative authority, or from the State Council if the relevant regulation requests it. If the species is recognised as endangered, it does not matter whether it is pre-CITES; approval must be obtained prior to import or export. For import, the following conditions must be met: utilisation of the goods must be compliant with state requirements; control measures must be effective and compliant with ecological safety requirements; and all documents submitted by the applicant must be true and valid. From time to time, the state wildlife and plants administrative authority may publicise other additional conditions that must be met by the applicant, in order to obtain import approval. For export, the following conditions must be met: ecological safety requirements and public interests must be satisfied; the source of the goods must be lawful; all documents submitted by the applicant must be true and valid; and the endangered species to be exported must not be prohibited for export according to the State Council or the state wild animals and plants administrative authority. It typically takes 30 to 40 working days to obtain an approval. Is the sale, import or export of post-CITES worked or antique endangered species authorised? On what conditions? See question 45. The same regulations apply to pre-CITES and post-CITES endangered species. The Circular on progressively stopping the commercial processing and sale of ivory and ivory products, issued by the General Office of the State Council, specified that such processing had to be partially stopped by 31 March 2017 and totally stopped by 31 December 2017. Ivory and ivory products are prohibited from being sold or traded on the market or through the internet. Ivory and ivory products that have a legitimate source will be given a specific mark, which means that they can be displayed and exhibited at museums, galleries and other non-commercial sites, and can be transported, gifted or inherited. Cultural relics that have a legitimate source, upon being appraised by professionals, are able to be auctioned under strict monitoring, and once an administrative licence has been obtained. There are several other restrictive laws and regulations, which are outlined below. According to the Law on the Protection of Wildlife (revised in 2016), it is prohibited to sell, purchase or utilise any wildlife under the state’s special protection or any product made of it. If the sale, purchase or utilisation of wildlife under the state’s special protection or the products made thereof is necessary for scientific research, artificial breeding, public exhibition and show, preservation of cultural relics or any other special purposes, the party concerned must seek approval from the wildlife protection authority at the provincial level, and obtain and use special identifiers in accordance with related regulations to ensure traceability, unless otherwise provided by the State Council. According to the Implementing Rules of the Law on the Protection of the Land Wildlife, for utilisation of wildlife that is not under the state’s special protection or any product made of it for operation, registration must be made with the competent branch of the State Administration of Industry and Commerce, and the operation shall be carried out within the quota approved. Economic profits received from the overseas exhibitions carried out based on the wildlife and the products made of it shall be used for the protection of the wildlife. According to the Implementing Rules of the Law on the Protection of Water Wildlife, if, for special purposes such as exhibition, research, etc, there is a need to sell, purchase or utilise water wildlife that is under the state’s Grade I protection, or any product made of it, approval shall first be sought from the provincial authority, and ultimately from the state authority for fishing administration. Economic profits received from the exhibitions carried out based on water wildlife and the products made of it shall be used for the protection of the water wildlife. According to the Criminal Law (revised in 2015), whoever illegally catches or kills precious and endangered species of wildlife under the state’s special protection, or illegally purchases, transports or sells these species as well as the products thereof, will be sentenced to fixed-term imprisonment of no more than five years or criminal detention, and will also be fined; if the circumstances are serious, he or she shall be sentenced to fixed-term imprisonment of no less than five years but no more than 10 years and will also be fined; and if the circumstances are particularly serious, he or she shall be sentenced to fixed-term imprisonment of no less than 10 years and will also be fined, or have his or her property confiscated. If a person, in violation of the law or regulations on hunting, hunts wildlife in an area or during a season closed to hunting or uses prohibited hunting gear or methods for the purpose, and in doing so damages wildlife resources, he or she will be sentenced to fixed-term imprisonment of not more than three years, criminal detention, public surveillance or be fined, if the circumstances are considered serious enough. According to the Administrative Measures for the Operation of Artworks, it is prohibited to deal in artwork made of the animals, plants, minerals, metals, fossils and other materials that are prohibited from being traded by the law, with limited exceptions. Consumers are entitled to cancel the sale under various circumstances and pursuant to different laws. For example, under the Contract Law, where fraud, coercion, malicious collusion, illegitimate purpose concealed by a legitimate purpose or violation of mandatory laws and regulations is identified or proved, or if the sales contract was signed because of serious misunderstanding, with obvious unfairness or under undue influence, the consumer may render the sale null and void. Under the Law on the Protection of Consumer Rights and Interests (revised in 2013), where the purchased object fails to meet the quality requirements, the consumer may ask for the object to be returned, replaced, repaired, or he or she may cancel the contract, within the requested time, pursuant to the law or the contract. If the purchased project is deemed to be substandard by the competent administrative authority, the business operator shall agree to return it if that is what the consumer requests. In addition, if an internet sales platform operator uses a standard template contract containing liabilities exclusion or restriction clauses without reminding the consumer, the consumer may submit the case to a people’s court and request annulment of the contract. right to privacy: the seller shall respect the buyer’s privacy and personal data such as name, address, bank account information and information on family members, and not disclose any of the above to any third parties, or use it for other purposes. Confidence in Chinese culture has been mentioned by President Xi Jinping on many occasions in recent years, and has been described as being important for the nation’s revival. The President has placed emphasis on supporting sustainable protection of China’s cultural relics and nurturing the creative development of China’s artists. Designing and producing ‘cultural and creative’ objects based on cultural relics has been encouraged as an innovative way to protect and publicise cultural relics - for example, replicas of cultural objects and artwork sold in museums. The Palace Museum and the National Museum of China have both produced examples of this, and many other museums have been encouraged to follow suit. In this regard, there may be more opportunities for museums regarding art licensing; however, this may present challenges regarding intellectual property protection, which will need to be managed and controlled. Founded in the early 1990s, Jingtian & Gongcheng is one of the first private and independent partnership law firms in China. Since its inception, the firm has been dedicated to providing clients with high-quality and efficient legal services and has grown into one of the top full-service business law firms in China.